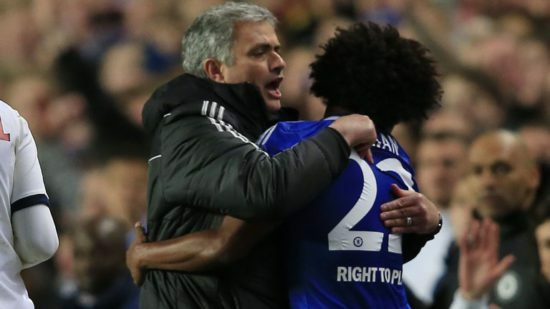 Despite being quiet for much of the transfer deadline day, there are reports that Manchester United could be set for a stunning move for Chelsea winger, Willian. The Brazilian has been on manager, Jose Mourinho’s shortlist since last summer and The Sun reports that the former Shakhtar Donetsk man could be set for a switch to Old Trafford. Chelsea have been linked to Riyad Mahrez, which could throw the future of the Brazilian in doubt. Jose is keen to add a winger to his squad all summer and will make a £35m move for his former player, as the same report. He has not always been a favourite of manager, Antonio Conte at Chelsea and was left out of the starting eleven last season for Spaniard, Pedro on a number of occasions. It is said that the relationship between the pair is frosty, as the former Juventus boss is known not to have an overly close relationship with his players, like Jose. United have been linked to a winger in this summer’s transfer window as the likes of Ivan Perisic, Gareth Bale and even Riyad Mahrez have been mooted but those deals have not been forthcoming due to a difference in valuation by the clubs. The Premier League leaders have already snapped up Nemanja Matic from the champions, and will be looking to do the same for the classy Brazilian playmaker. It is yet interesting to see whether the deal will go through as the transfer window closes this night. The clubs will still have to reach an agreement about a transfer fee, personal terms must be agreed and a medical examination must take place. Willian is a classy attacking midfielder that can play anywhere behind the striker known for his mazy dribbling, creativity and positional awareness. He joined Chelsea in 2013, and has made 185 appearances for the club, scoring 31 times including starting all three league matches this season, and has won two league titles, in addition to a League Cup win.